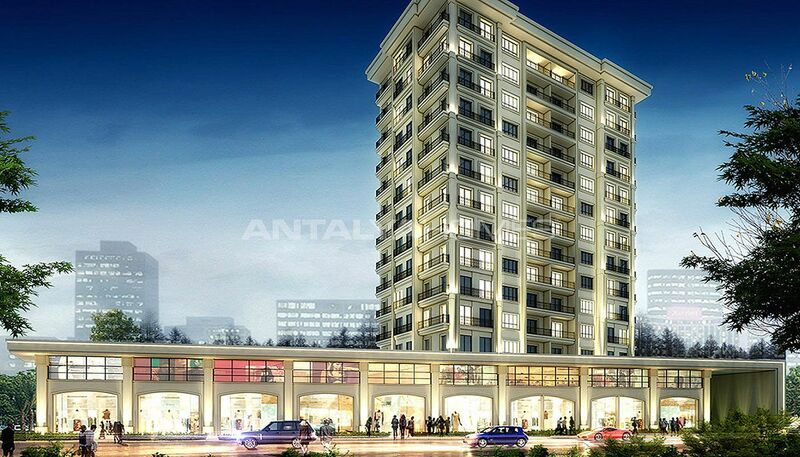 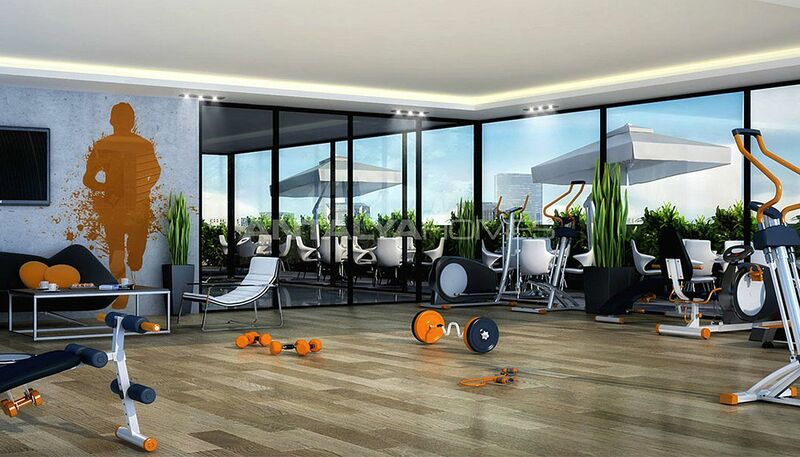 Ready to move apartments are located in the fastest growing and valued region of Esenyurt. 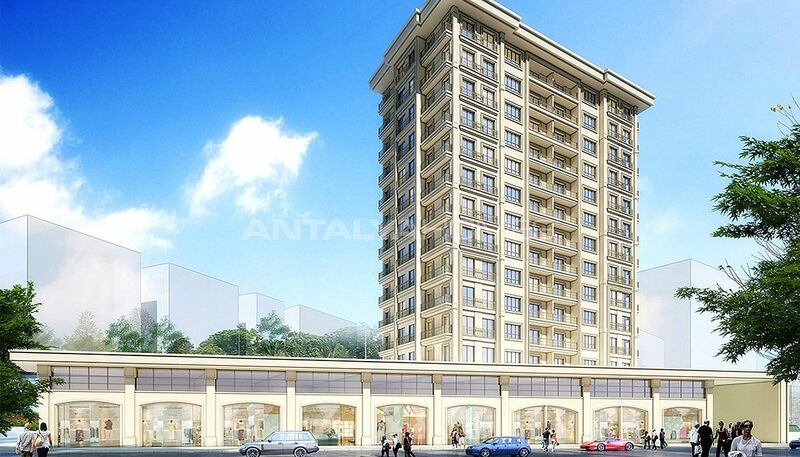 Esenyurt has become a shining star with investments made in recent years. This region has attracted the interest of domestic and foreign investors with its quality infrastructure. 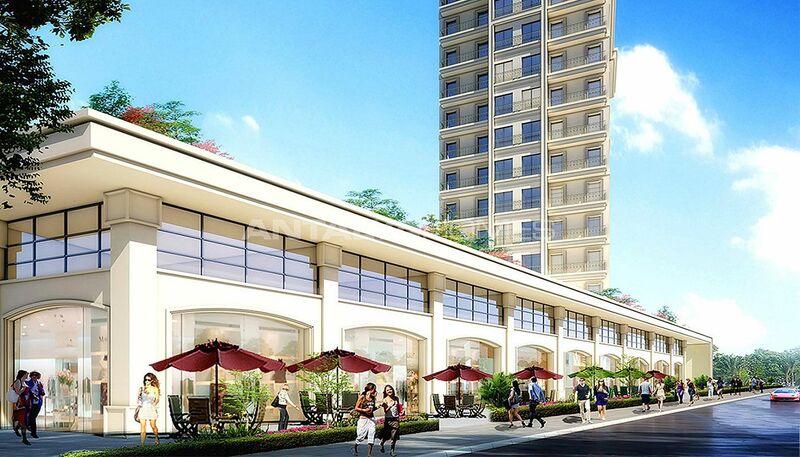 There are schools, shopping malls, hospitals, banks, recreation areas and lots of lifestyle facilities. 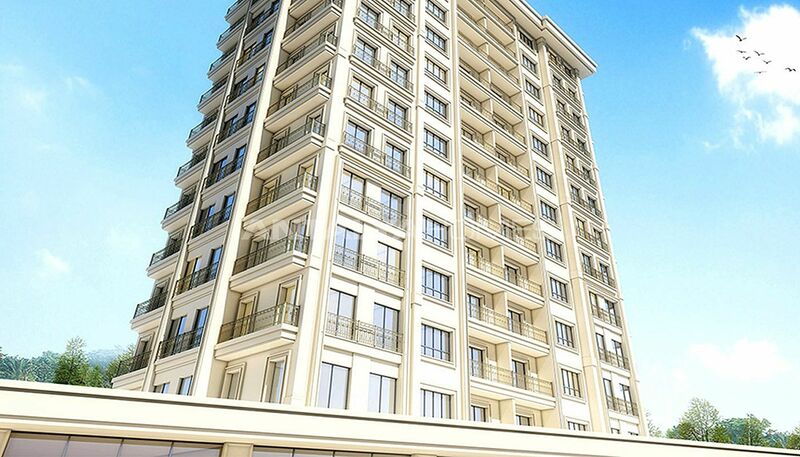 Istanbul apartments stand out with advantageous location and easy transportation. Apartments are 10 minutes away from Tüyap Exhibition Center, 5 minutes away from E-5 and TEM Highway, 21 minutes from Büyükçekmece Beach and 15 minutes from the International Ataturk Airport. 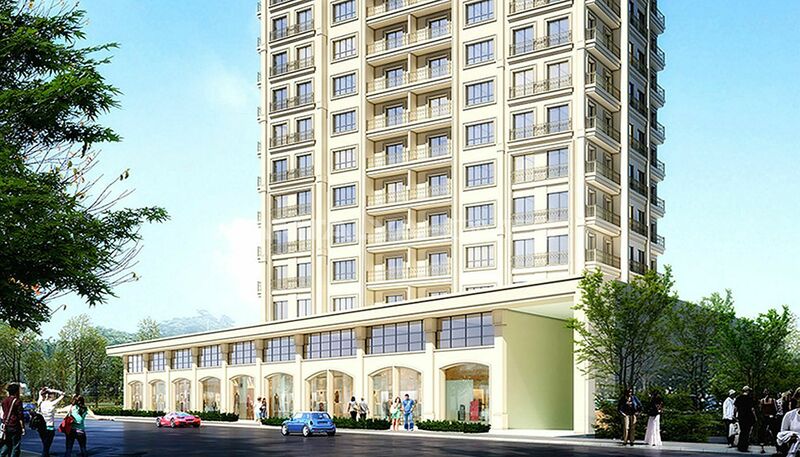 Also, the apartments are a short distance from many shopping malls, hospitals and universities. Schools in the region: Private Boğaziçi High School, Private Beylikdüzü Final Basic High School, Bahçeşehir Doğa College, Mesleğim Health College, Private Yüz12 Anatolian Health Vocational High School, İstanbul Esenyurt University, Beykent University and İstanbul Gelişim University. 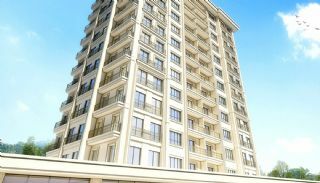 Hospitals in the region: Eslife Hospital, Private Medihaus Surgical Medical Center, Private Medilife Hospital, Private Esencan Hospital, Avcılar Anatolian Hospital, Elitium Surgical Medical Center, Private Etik Life Medical Center, Private Beylikdüzü Medical Center, European Eye Center Esenyurt, Yeni Hayat Medical Center, Acıbadem Bahçeşehir Medical Center and Private Doğa Hospital. 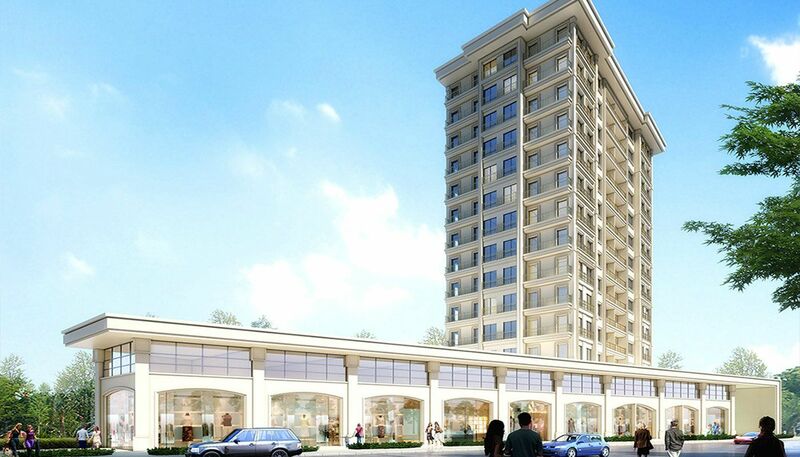 Shopping malls in the region: Eskule Shopping Center, Demir Park Shopping Center, Torium Shopping Center, Marmara Park Shopping Center, Torium Shopping Center, Bauhaus Shopping Center, Nmerkez Shopping Center, Koçtaş Shopping Center, Sunflower Life Center, Parkway Shopping Center and Özyurtlar Shopping Center. 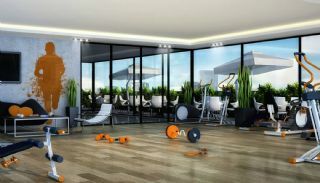 The residential complex has been built on 3.000 m² land area. It consists of a single block of 12 floors with 84 apartments and 10 commercial units. 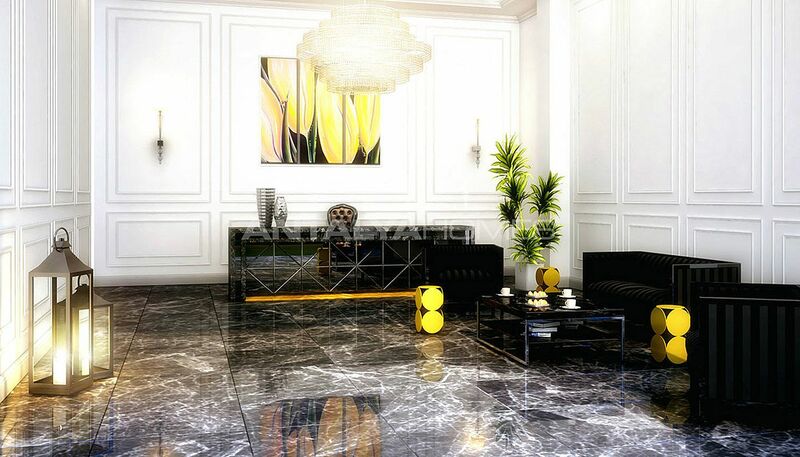 It is designed as 1+1 apartments ranging from 70-75 m². 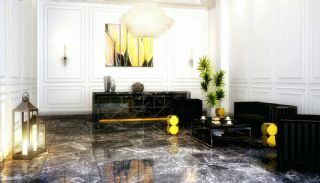 The complex is dazzling with its social facilities such as reception, indoor and outdoor car parking areas, Playstation room, mini movie theater, fitness center, table tennis, children’s playground, walking paths, green areas, winter garden, restaurants, cafes, water treatment, generator, water tank, card entry system and 24/7 closed-circuit video system and secure service. 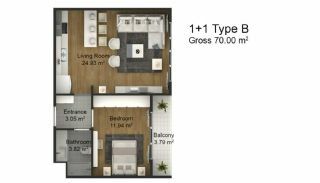 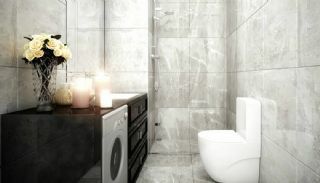 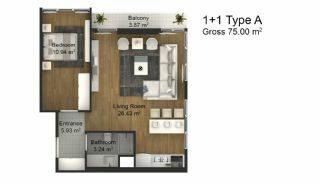 1 bedroom apartments are 70-75 m² with a living room, an open-plan kitchen, a bathroom and a balcony. 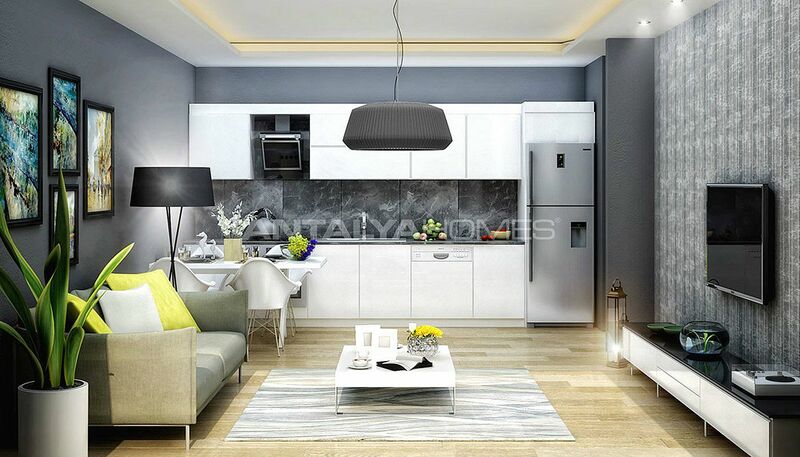 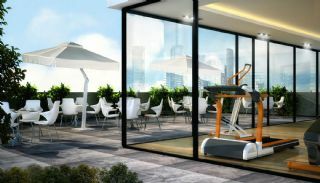 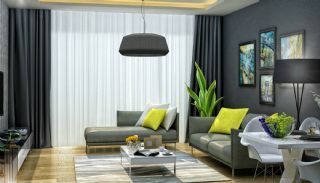 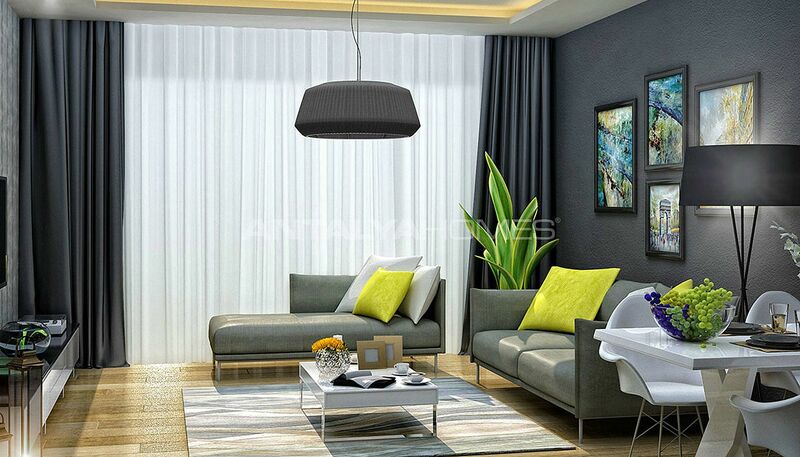 Intelligent apartments offer quality, safe and luxurious living spaces. 1 bedroom apartments in Istanbul have steel door, kitchen appliances, video intercom, central heating system, smoke and fire detector, automatic fire extinguishing system, spotlighting, carton-pierre, laminate flooring, satellite TV system, central cable television, central hot water, wireless internet, fiber optic internet infrastructure and natural gas.